MIRONICA, I. , MITREA, C. A. , IONESCU, B. , LAMBERT, P.
This paper presents an automated surveillance system that exploits the Fisher Kernel representation in the context of multiple-instance object retrieval task. The proposed algorithm has the main purpose of tracking a list of persons in several video sources, using only few training examples. In the first step, the Fisher Kernel representation describes a set of features as the derivative with respect to the log-likelihood of the generative probability distribution that models the feature distribution. Then, we learn the generative probability distribution over all features extracted from a reduced set of relevant frames. The proposed approach shows significant improvements and we demonstrate that Fisher kernels are well suited for this task. We demonstrate the generality of our approach in terms of features by conducting an extensive evaluation with a broad range of keypoints features. Also, we evaluate our method on two standard video surveillance datasets attaining superior results comparing to state-of-the-art object recognition algorithms. Ionut Mironica, Bogdan Ionescu, Jasper Uijlings, Nicu Sebe, "Fisher Kernel based Relevance Feedback for Multimodal Video Retrieval", ACM International Conference on Multimedia Retrieval - ICMR 2013, Dallas, Texas, USA, April 16 - 19, 2013. C. Mitrea, I. Mironica, B. Ionescu, R. Dogaru, "Video Surveillance Classification-based Multiple Instance Object Retrieval: Evaluation and Dataset," International Conference on Intelligent Computer Communication and Processing (ICCP), ISBN 978-1-4799-6568-7, pp. 171-179, Cluj, Romania, 4-6, September, 2014. P. Korshunov, T. Ebrahimi, "PEViD: Privacy Evaluation Video Dataset Applications of Digital Image Processing," Proceedings of SPIE International Society for Optics and Photonics, vol. 8856, pp. 512-522, 2013. 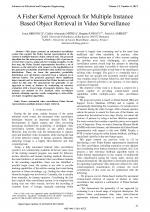 J. Aggarwal, J. Ryoo, "Human activity analysis: A review," In ACM Computing Surveys (CSUR), vol. 43(3), pp. 162-205, 2011. D. Duque, H. Santos, P. Cortez, "The OBSERVER: An Intelligent and Automated Video Surveillance System," In Proceedings of the International Conference on Image Analysis and Recognition (ICIAR), ISBN. 978-3-540-44893-8, pp. 989-909, 2006. Y. Mingqiang, K. Kidiyo, R. Joseph, "A Survey of Shape Feature Extraction Techniques," In International Conference of Pattern Recognition (ICPR), ISBN 978-953-7619-24-4, pp. 43-90, Tampa, Florida, USA, 8-11 December, 2008. W. Choi, J. Rho, D. Han, H. Ko, "Selective background adaptation based abnormal acoustic event recognition for audio surveillance," In International IEEE Conference on Advanced Video and Signal-Based Surveillance (AVSS), pp. 118-123, Beijing, China, 18-21 Sept. 2012. D. G. Lowe, "Distinctive Image Features from Scale-Invariant Keypoints," In International Journal of Computer Vision (IJCV), ISSN 0920-5691, vol. 60(2), pp. 91-110, 2004. J. L. Landabaso, X. L-Q. Xu, M. Pardas "Robust tracking and object classification towards automated video surveillance", In International Conference of Image Analysis and Recognition (IAR), ISSN 0302-9743, vol. 32(12), pp. 463-470, Porto, 29-30 September, 2004. B. Benfold, I. Reid, "Stable multi-target tracking in real-time surveillance video," In Computer Vision and Pattern Recognition (CVPR), pp. 3457-3464, Colorado Springs, USA, 21-23 June, 2011. S. Muller-Schneiders, T. Jager, H. Loos, W. Niem, "Performance evaluation of a real time video surveillance system", In IEEE Intenational Workshop on Visual Surveillance and Performance Evaluation of Tracking and Surveillance(VS-PETS), ISBN 0-7803-9424-0, pp. 137-144, 2005. J. Stottinger, B. T. Goras, N. Sebe, A. Hanbury, "Behavior and properties of spatio-temporal local features under visual transformations," In Proceedings of the International ACM Conference on Multimedia (ACM MM), ISBN: 978-1-60558-933-6, pp. 1155-1158, Florence, Italy, 25-29 October 2010. N. Ikizler-Cinbis, S. Sclaroff, "Object, scene and actions: combining multiple features for human action recognition," In Proceedings of the European Conference on Computer Vision (ECCV), vol. 6311, pp. 494-507, Heraklion, Crete, Greece, 5-10 September, 2011. Y. Yang, D. Ramanan, "Articulated human detection with flexible mixtures of parts," In IEEE Transactions on Pattern Analysis and Machine Intelligence (TPAMI), 35(12):2878-2890, 2013. N. Rostamzadeh, G. Zen, I. Mironica, J.R.R. Uijlings, N. Sebe, "Daily Living Activities Recognition via Efficient High and Low Level Cues Combination and Fisher Kernel Representation," In IEEE International Conference on Image Analysis and Processing (ICIAP), ISSN 0302-9743, pp. 431-441, 2013. T. Jaakkola, D. Haussler, "Exploiting Generative Models in Discriminative Classifiers," In International Conference on Advances in Neural Information Processing Systems II, ISBN:0-262-11245-0, pp. 487-493, 1998. F. Perronnin, J. Sanchez, T. Mensink, "Improving the Fisher Kernel for Large-Scale Image Classification," In European Conference on Computer Vision (ECCV), LNCS 6314, pp. 143-156, 5-11 September, Heraklion, Crete, Greece, 2010. O. Aran, L. Akarun, "A Multi-Class Classification Strategy for Fisher Scores: Application to Signer Independent Sign Language Recognition," In Pattern Recognition, 43(5):1776-1788, 2010. P.J. Moreno, R. Rifkin, "Using the Fisher Kernel Method for Web Audio Classification," In IEEE International Conference on Acoustics, Speech and Signal Processing (ICASSP), ISSN 1520-6149, vol. 6, pp. 2417-2420, 5-9 June, 2000, Istanbul, Turkey. Q. Sun, R. Li, D. Luo, W. Xihong, "Text Segmentation with LDA-based Fisher Kernel," In Annual Meeting of the Association for Computational Linguistics on Human Language Technologies, 2008. G. K. Myers, C. G. Snoek, R. Nallapati, J. van Hout, S. Pancoast, R. Nevatia, C. Sun, "Evaluating Multimedia Features and Fusion for Example-based Event Detection, " In International Journal of Machine Vision and Applications (MVAP), 25(1):17-32, 2014. H. Bay, A. Ess, T. Tuytelaars, L. Van Gool, "Speeded-up robust features (SURF)," In Computer Vision and Image Understanding (CVIU), vol. 110(3), pp. 346-359, 2008. A. Bosch, A. Zisserman, X. Munoz, "Image classifcation using random forests and ferns," In IEEE International Conference on Computer Vision (ICCV), pp. 1-8, Rio de Janeiro, Brasil, 14-21 Oct. 2007. .
 C. M. Bishop, "Pattern recognition and machine learning," In New York: Springer, ISBN 978-0-387-31073-2, vol. 4, nr. 4, 2006. C. R. Wren, A. Azarbayejani, T. Darrell, A. P. Pentland, "Pfinder: real-time tracking of the human body," In IEEE Transactions on Pattern Analysis and Machine Intelligence (TPAMI), ISSN 0162-8828, vol. 19(7), pp.780-785, 1997. K. Chatfield, V. Lempitsky, A. Vedaldi, A. Zisserman, "The devil is in the details: an evaluation of recent feature encoding methods," In International Proceedings of British Machine Vision Conference (BMVC), pp. 1-12, Dundee, 29 August - 2 September 2011. V. N. Vapnik, "Statistical Learning Theory," New York: John Wiley & Sons, ISBN: 978-0-471-03003-4, 1998. O. Chapelle, "Training a Support Vector Machine in the Primal," In Neural Computation, MIT Press, vol. 19(5), pp. 1155-1178, 2007. C. G. M. Snoek, K. E. A. van de Sande, O. de Rooij, B. Huurnink, J. C. van Gemert, J. R. R. Uijlings, J. He, X. Li, I. Everts, V. Nedovic, M. van Liempt, R. van Balen, F. Yan, M. A. Tahir, K. Mikolajczyk, J. Kittler, M. de Rijke, J.-M. Geusebroek, T. Gevers, M. Worring, A. W. M. Smeulders, D. C. Koelma, "The MediaMill TRECVID 2008 semantic video search engine," in Proceedings of the 6th TRECVID Workshop, Gaithersburg, USA, November 2008. O. Ludwig, D. Delgado, V. Goncalves, U. Nunes, "Trainable Classifier-Fusion Schemes: An Application To Pedestrian Detection," In IEEE International Conference On Intelligent Transportation Systems, vol. 1, pp. 432-437, St. Louis, USA, 4-7 October, 2009. J. van DeWeijer, C. Schmid, J. Verbeek, D. Larlus, "Learning color names for real-world applications," in IEEE Transactions on Image Processing, ISSN 1057-7149, vol. 18(7), pp. 1512-1523, 2009. M. A. Stricker, M. Orengo,"Similarity of color images," In Symposium on Electronic Imaging: Science and Technology, vol. 2420, pp. 381-392, 1995. T. Ojala, M. Pietikinen, D. Harwood, "Performance evaluation of texture measures with classification based on Kullback discrimination of distributions," In International Conference on Pattern Recognition (IAPR), vol. 1, pp. 582 - 585, Jerusalem, Israel, 09-13 Oct 1994. J. R. R. Uijlings, A. W. M. Smeulders, R. J. H. Scha, "Real-Time Visual Concept Classification," In IEEE Transactions on Multimedia, ISSN: 1520-9210, vol. 12(17), pp. 665-681, 2010. K. Beyer, J. Goldstein, R. Ramakrishnan, U. Shaft, "When Is Nearest Neighbor Meaningful? ", Database Theory ICDT Lecture Notes in Computer Science, ISSN 0302-9743, vol. 1540, pp. 217-235, Jerusalem, Israel, 10-12 January, 1999. L. Breiman, "Random forests," In Journal of Machine Learning, 45(1),2009. N. Lu, J. Wang, L. Yang, Q. H. Wu, Motion Detection Based On Accumulative Optical Flow and Double Background Filtering, in World Congress on Engineering, pp. 602-607, 2007. A. Bovik, The essential guide to video processing, Elsevier Inc, 2009, ISBN: 0123744563. G. Hripcsak, A. Rothschild, Agreement, the f-measure, and reliability in information retrieval, in Journal of the American Medical Informatics Association, vol. 12(3), pp. 296-298, 2005. 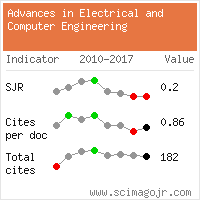 Citations for references updated on 2019-04-21 22:59 in 228 seconds.